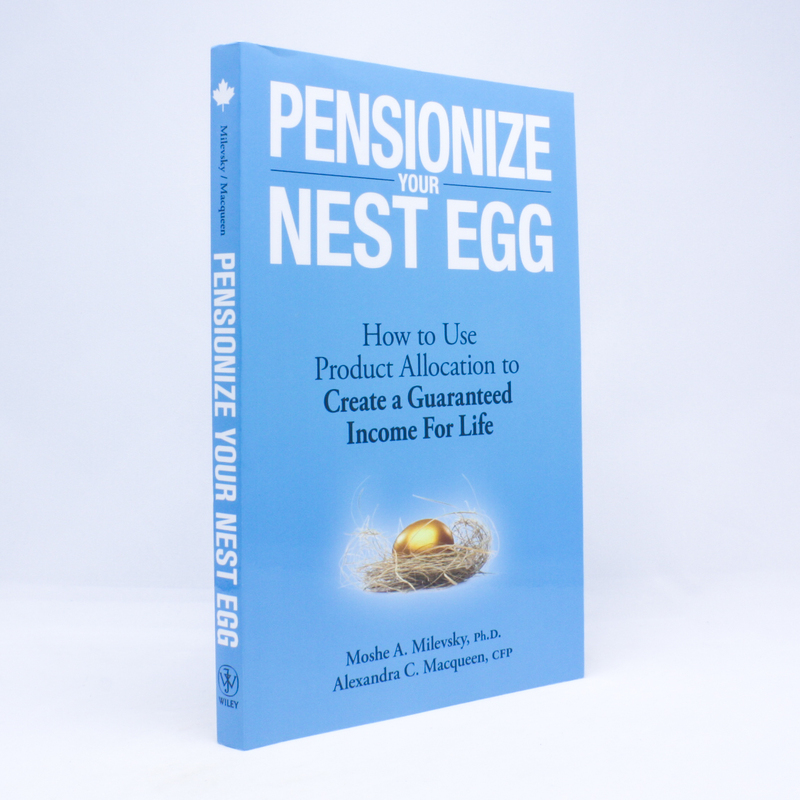 Pensionize your Nest Egg: How to Use Product Allocation to Create a Guaranteed Income for Life - IFA Vintage and Current Book Library - Index Fund Advisors, Inc.
Pensionize Verb. 1. To convert money into income you can't outlive. 2. To create your own personal pension, a monthly income that lasts for the rest of your natural life. With the subpar performance of the markets, record-high personal debt levels, and shockingly low savings rates, it's clear that many Canadians expecting to retire in the next decade simply don't have a sufficient nest egg to ensure a worry-free retirement. Making matters worse, only about one-third of Canadians currently belong to a formal, or registered, pension plan; and even a large number of that "lucky third" will not retire with a guaranteed pension income. Whether you do it yourself or work with a financial advisor, Pensionize Your Nest Egg gives you a simple plan to create a guaranteed retirement income-for life.